Calling Campaigns can be created by your Administrator. They are used to initiate a call based on a contact list. The calls can be automatic or manual. If the calls are automatically dialled, once you start a campaign Nectar Desk will start dialling the numbers. Same way add other contacts to your list. You can also edit or view your contact. To upload a list from your computer hit Create New List > +Add Files > Start Upload > Create List. Make sure your file is in csv format, other formats are not supported. 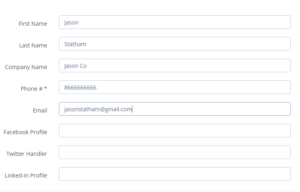 Then assign fields appropriately and save. If you have some additional fields, such as Zip/Postal Code, Cell Phone, Country, Address, etc, then you need to add those Custom fields. After you’ve added all custom fields, you can start to upload the list of the contacts and map all the fields. 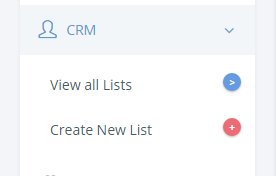 You need to open CRM -> Custom fields. 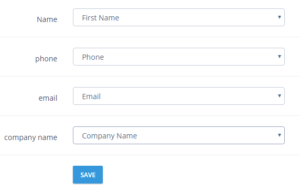 Then you need to add all your additional fields using the button: Add Custom Field. You need to put the name of the field and Save it. You see that all contacts are saved successfully. Now we are good to make a campaign.